About 20 years ago in 1997, legendary Filipino singer and actress Celeste Legaspi (right most in the picture above) played the lead role Candida in the first musical adaptation of ‘A Portrait of the Artist as Filipino’, an English play written by National Artist for Literature Nick Joaquin in 1950. Celeste’s love affair with the play is undeniable. 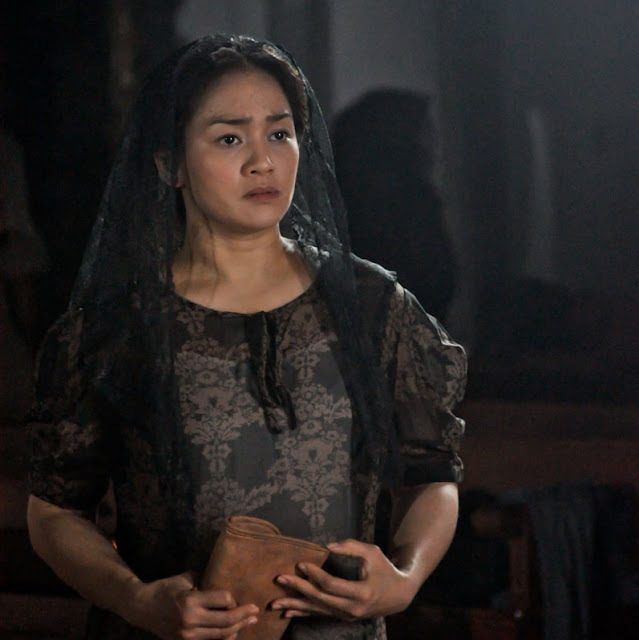 Candida aside, she also went on to play Dona Loleng, another important character in the play. Five years ago, she took a major step forward and embarked on her journey of transporting the play from stage to the big screen. 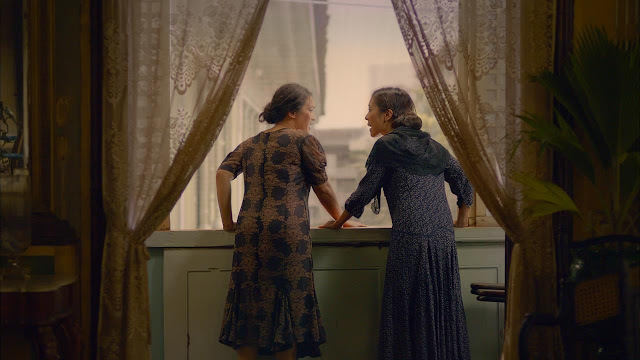 The result was Ang Larawan, the film that swept the 43rd Metro Manila Film Festival awards in 2017. The film won Best Picture, Best Actress, Best Musical Score, Best Production Design the Gatpuno Antonio J. Villegas Cultural Award and the Posthumous Special Jury Prize. It also had a glorious world premiere at the 30th Tokyo International Film Festival where the Japanese audience sat through the entire film until the last credit. Perhaps given its place in the hall of fame of Filipino literature, its transformation from book to stage to screen seems a natural rites of passage. True enough, it has been staged many times like the Filipino equivalent of Les Miserables. But as Celeste shares with SINdie, making Ang Larawan was no straightforward, template-driven exercise. After the process of securing financing for the film which Celeste describes as ‘overwhelming’, she and her co-producer Girlie Rodis, had to transform the 3-hour long stage musical for cinema without diluting the original intent of Nick Joaquin’s book and vision. She was meticulous in casting the right people for the roles and finding the right director who would respect the material but bring it to its most effective levels. ‘In 1997 when we first did the musical with Rolando Tinio, he saw no small parts in the play. We upheld that and chose only those who could sing and act the parts in the way it was intended plus in their right ages. Loy Arcenas (Ang Larawan’s director) was particular about this and he has been proven right,’ said Celeste. 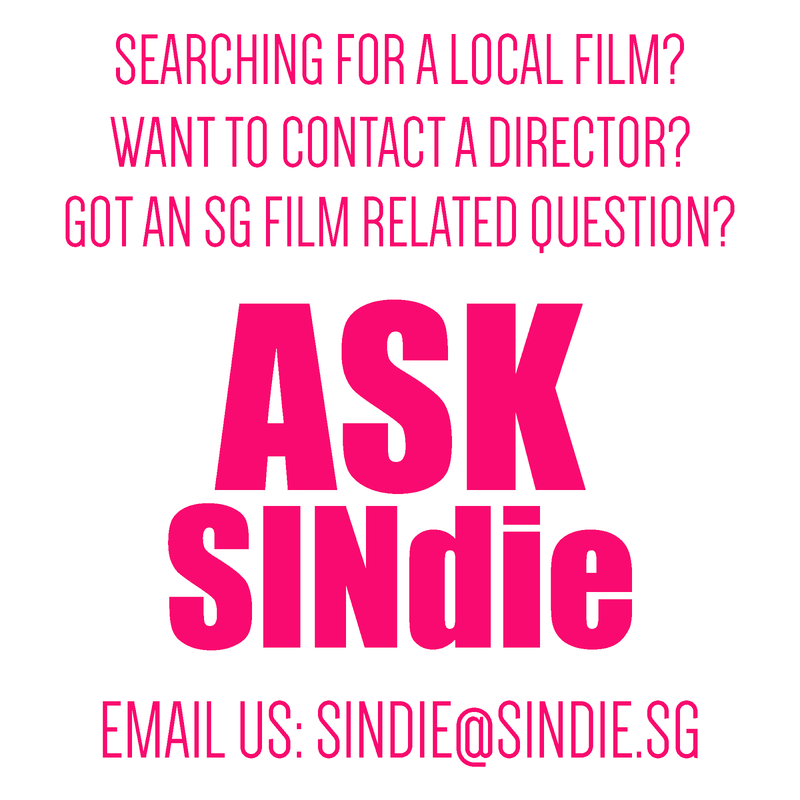 In her response to SINdie, it is clear the production team left no stone unturned in making the film. Costing close to a total of 30 million pesos, every step was a labour of love, from production design to editing to sound to colouring and finally to the extensive marketing work. 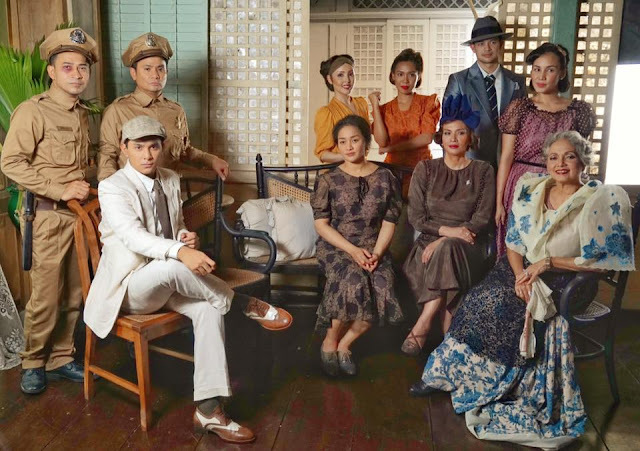 Ang Larawan tells the story of two sisters Candida and Paula Marasigan, daughters of high-profile painter Don Lorenzo Marasigan. As Don Lorenzo has not produced a single painting for a long time, the family is in financial trouble and had to rely on their seemingly more successful siblings who had been urging Candida and Paula to sell the house, which they are reluctant to. However, their father had a self-portrait that could potentially fetch a high sum as it has attracted the attention of many. Hence, the sisters’ dilemma between the romantic ideals of protecting tradition and culture and the pressures of modern-day pragmatism. 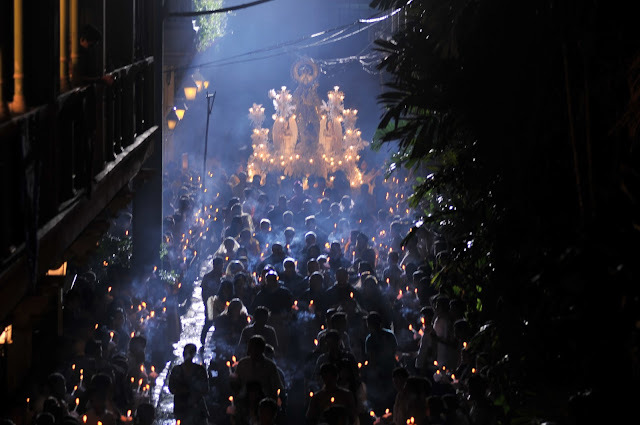 Many have held the film up as an important reminder to Filipinos of their glorious heritage and past, against the tides of commercialism, socio-political changes and cultural degeneracy. In the context of OFWs (overseas Filipino workers), this brings another level of pertinence. The Filipino expat diaspora worldwide is one of the largest in the world and in Singapore, Filipinos have formed an integral part of the economic and social fabric. In the workplace, Filipinos can be found at every level of the hierarchy and in a diversity of professional fields. As lead actress Joanna Ampil shares, Ang Larawan is something OFWs can definitely relate to. The film touches on priorities, togetherness, family, attachments, something that will be thought provoking for anyone who’s in a similar situation. An OFW herself, Joanna is based in the UK and is known for her successful career as a West End stage actress, having appeared in musicals like Jesus Christ Superstar, Avenue Q, The Real Love, and most of all known for her role as Kim in Miss Saigon. 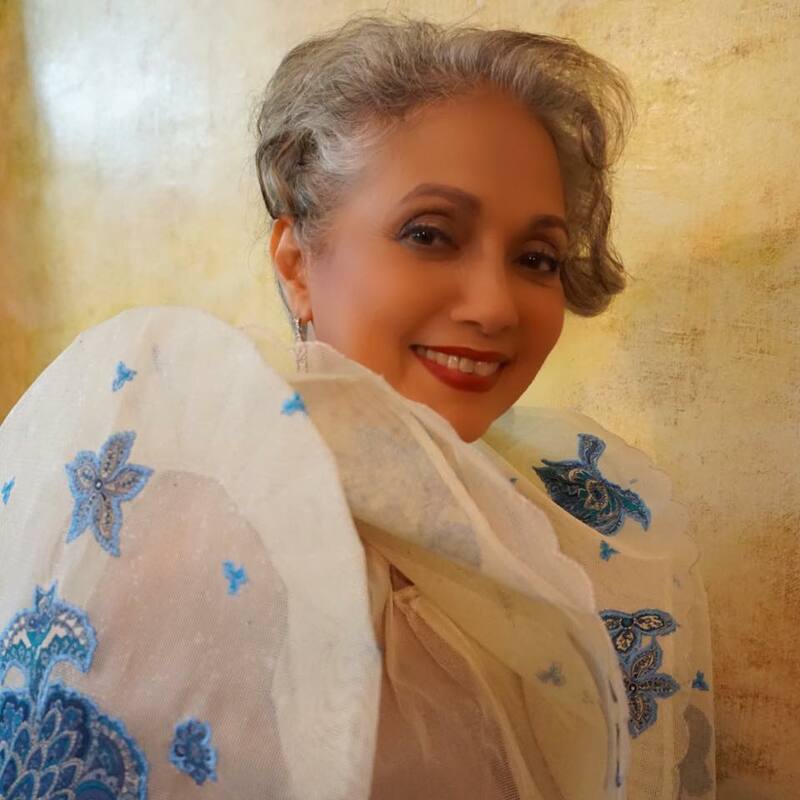 Winning Best Actress for her role as Candida at the Metro Manila Film Festival was a huge feather in the cap. Responding to an interview with SINdie, Joanna shared that she faced some challenges in culturally re-immersing herself for the role. ‘Memorising in Tagalog took a while. I barely understood some of the words in the script. They were proper deep Tagalog words and I felt inadequate that I didn’t understand it more. Candida is someone I could hardly relate to but I had to put that aside and just take on the character without judgement,’ said Joanna. Prior to sweeping the national films awards in the Philippines, the film found itself stepping onto an unexpected pothole early in his screening journey. 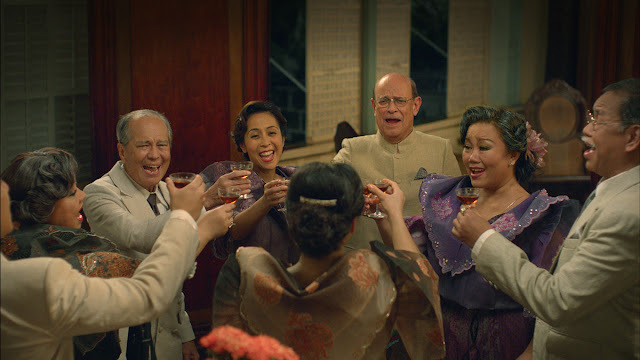 Cinemas in the Philippines pulled the film out of several screens close to the Christmas season citing commercial reasons. Celeste relates how the team dealt with the curveball. ‘Our true target audience was the students with whom we wanted to share Nick and Rolando's work so we were looking forward to that. Showing Ang Larawan during the MMFF was a good opportunity for us to show the film to the biggest audiences possible as our responsibility to our investors. Unfortunately the timing of the festival, during the Christmas season, can be difficult for unusual films (like ours). But we had faith in our material and we knew that if we get awards it could help turn the tide in our favour. So we hung in there and held on. ‘We started at around 50 cinemas; went down to 22 and ended the festival with around 77. Plus we continued showing for 3 more weeks after the festival ended. Currently, we continue to be in 2 small cinemas for February. In addition, today, we are holding consecutive school screenings all over the country and in other countries - Singapore, the States, etc. We look forward to many more screenings where ever there's a Filipino community anywhere in the world, ‘said Celeste. Winning the key awards at the Metro Manila Film Festival was exciting and surreal for Celeste, with the film being her maiden production which she never expected to win Best Picture. Having the ability to stand up to competition from the local cinema giants certainly gave her a sense of Contra Mundum! Perhaps more a happy problem. ‘What filled our hearts with joy was how the young people, the millennials, came to our rescue. Especially when the theatres were being pulled out early in the festival - they just went on social media and demanded we be returned! Plus the endless almost daily rave reviews were awesome. Online, on mainstream media, on Facebook posts, personal SMS etc. 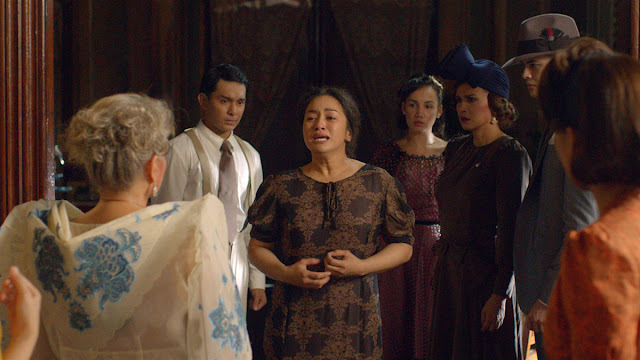 And when we visited cinemas people were thanking us for producing Ang Larawan.... that will remain an inspiration,’ quipped Celeste. Celeste will make her way to Singapore for the screening of Ang Larawan. Watch out for her appearance at the one-day only screening on 4 March 2.30pm and 5pm at Nexus Auditorium. 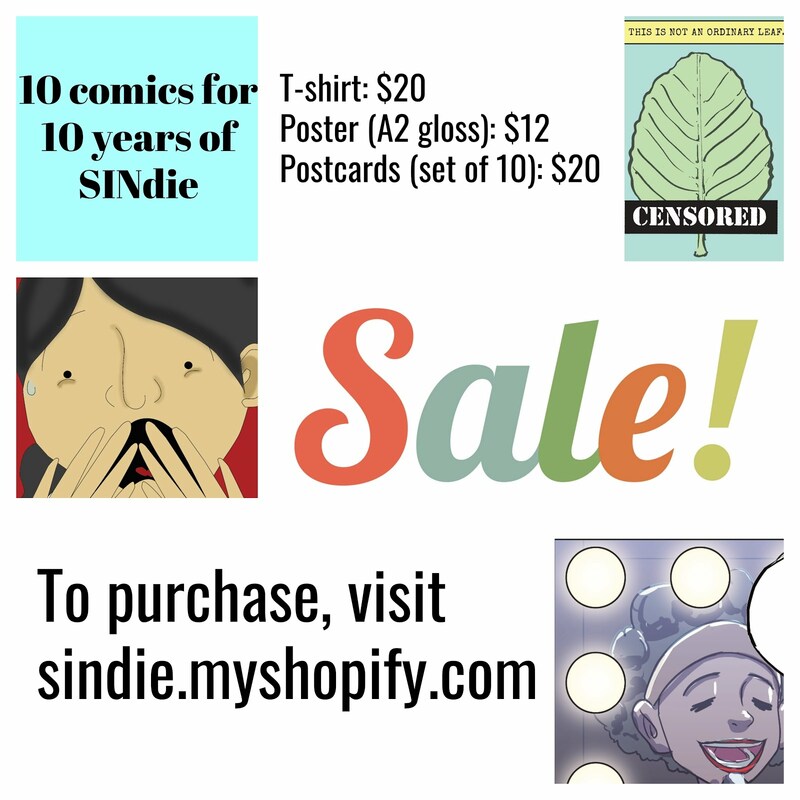 OFWs get a $3 discount off the ticket price. Singapore Film Society members get $1 off ticket price.